Sky Hook Enterprises was an interesting footnote in the history of the Row River Valley. 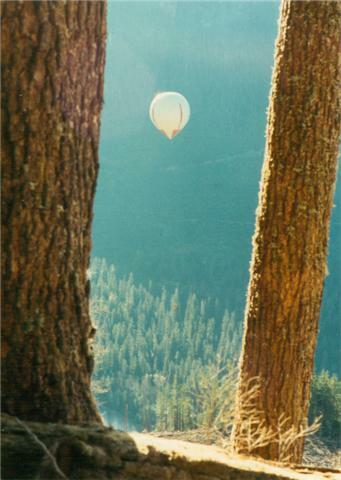 The company used a hot air (correction, helium) balloon for logging. It was a little strange to drive up Sharp’s Creek Road and see an enormous balloon looming above in the middle of nowhere. 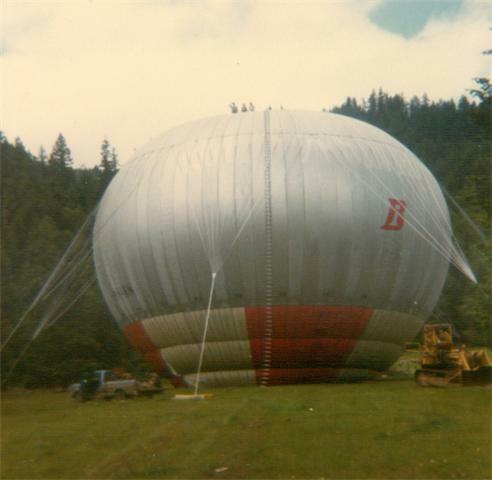 The advantage of logging with the balloon was that roads were not needed, saving a great deal of money. The balloons were used for many years starting in the late 1960’s but their instability eventually caused the venture to be abandoned. 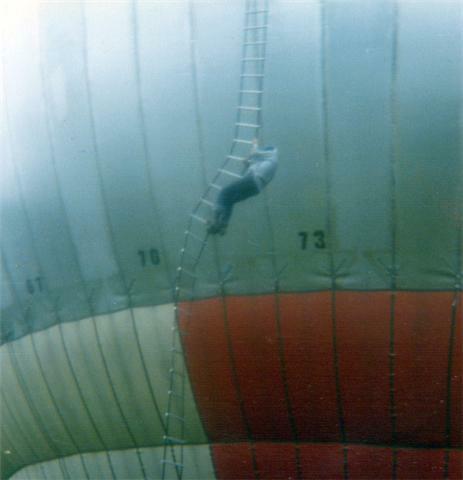 The following photos are from Alan Doolittle, a member of the Sky Hook crew. Those pictures are clearly not of a hot-air balloon. It is a gas balloon, probably inflated with helium. To you write from Russia. I Alexander Abuzov – am experts in aerial logging systems. I spent tests of Russian system balloon logging. I had no idea they had balloon logging, very interesting.